I can’t believe it’s mid December already! 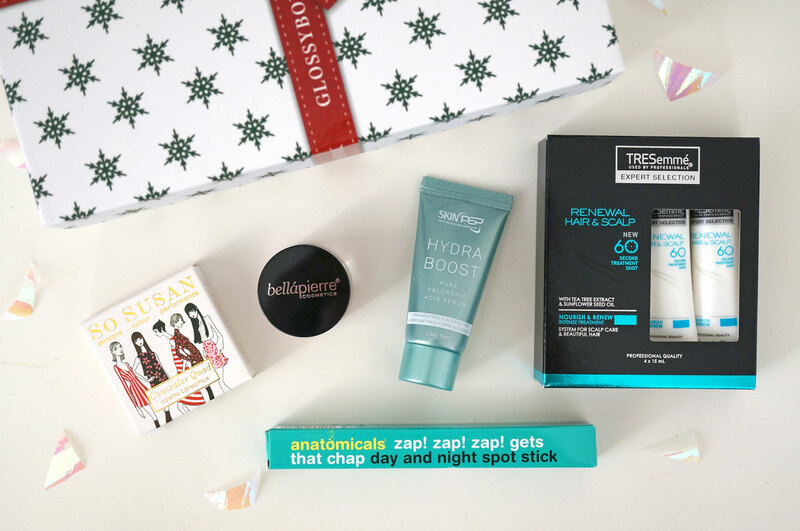 It seems like no time ago November’s Glossybox was arriving at my door, and now the Christmas box is here! December’s box doesn’t actually have a Christmas theme regarding products, but the box itself has a pretty snowflake print, so I may use it to package up some Christmas gifts! I have to say the value of the box really surprised me, I really didnt think these products would be worth pretty much £50! So I’ll start off with the plus points – I really like the Tresseme set, I’ve used one of the treatment shots so far and it left my hair feeling smooth and nourished, so the rest will definitely get used. The Hyaluronic Acid Serum was also a favourite – this is really similar to Indeedlabs Hydraluron Ultimate Moisture Boosting Serum which I love. The super silky serum melted into my skin to hydrate it without leaving any residue, which is a bonus! And the Bellapierre Cheek and Lip Stain is a lovely easy to wear coral shade, it gave a hint of colour to my cheeks but didn’t really show on my lips. 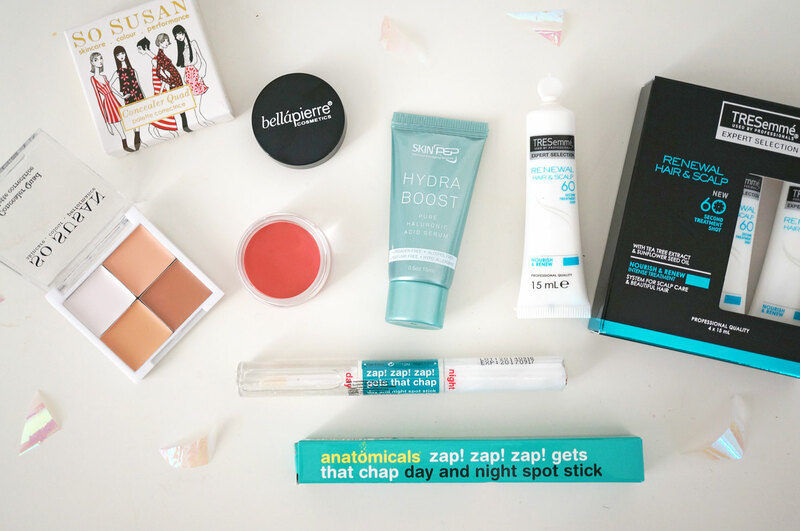 Overall I’m a bit on the fence about this box, for me there are a couple of good products and a couple of not so good ones. Also, November’s box received a Best Secret invitation and voucher, and I think it would have been nice to get a little extra something in December’s box really as it is Christmas! Next Post Christmas Gift Guide | Beauty Gadgets!